Fundamental concepts, methods and tools. The book contains carefully edited refereed contributions. It serves as a reference to researchers and gives an overview to students and newcomers entering any field of dynamical astronomy. Order and Chaos in Dynamical Astronomy, 2002, Springer, ISBN: 3-540-43360-0. The book was published in Summer 2002. In its 618 pages the book contains an overview of the knowledge developed during the last 50 years in Chaotic Dynamics and Dynamical Astronomy. It contains also a list of about 70 unsolved yet problems. This is a reference book for many researchers in Astronomy and related fields. Its first edition was exhausted and its second edition appeared in 2004. This volume contains selected articles from the proceedings of the International Workshop on “Galaxies and Chaos. Theory and Obeservations” held in Athens, 16-19 September 2002. The book deals with the most recent results concerning the role of chaos in the formation, stability and morphology of gravitational systems in scales ranging from planetary to galactic. The book describes the experiences of the author after fifty years of research in the field of order and chaos in astronomical dynamical systems. It exposes a number of important notions related to the theory of order and chaos in a simple and informal way. It also includes subjects of more general scientific interest, such as advices for paper writing, lecturing and refereeing. Finally, the book gives a useful assessment of future perspectives of dynamical astronomy. Contopoulos, G. and Harsoula, M., 2015, “Convergence regions of the Moser normal forms and the structure of chaos”, J. Phys. A. Math. Theor. 48, 335101. Harsoula, M., Contopoulos, G., Efthymiopoulos, C., 2015, “Analytic description of the structure of chaos”. J. Phys. A. Math. Theor. 48, 135102. Efthymiopoulos, C., Harsoula, M., and Contopoulos, G., 2015, “Resonant normal form and asymptotic normal form behavior in magnetic bottle Hamiltonians”, Nonlinearity, 28, 851. Tsigaridi, L. and Patsis, P. A., 2015, Morphologies introduced by bistability in barred-spiral galactic potentials, Month. Not. R. Ast. Soc. 448, 3081. Contopoulos, G., Delis, N., Efthymiopoulos, C.: 2015, “Bohmian Trajectories in the Scattering Problem", in Chaos, Information Processing and Paradoxical Games: the legacy of John S Nicolis, World Scientific, pp.3 – 25. Efthymiopoulos, C.: 2015, “Perturbative methods in Celestial Mechanics and the roots of Quantum Mechanics: A historical perspective", in Rivista dell'Unione Matematica Italiana, Ser. I, 8, pp.1 – 35. Fukumura, K., Tombesi, F., Kazanas, D., Shrader, C., Behar, E., Contopoulos, I., 2013, Stratified Magnetically-Driven Accretion-Disk Winds and their Relations to Jets, Astrophys. J., in press. Patsis P.A., 2012, Mechanisms based on chaotic flows that support structures in barred-spiral systems, in “Assembling the Puzzle of the Milky Way”, Le Grand-Bornand, France, C. Reyle; A. Robin; M. Schultheis (eds), EPJ Web of Conferences, Volume 19, 07003, EDP Sciences. Patsis P.A., 2012, Modeling the morphology of disk galaxies by means of orbital theory, 10th Hellenic Astronomical Conference, Proceedings of the conference held at Ioannina, Greece, 5-8 September 2011, I. Papadakis, A. Anastasiadis (eds)., 21, Hel.A.S. Efthymiopoulos C., 2012, Canonical perturbation theory, stability and diffusion in Hamiltonian systems. Applications in dynamical astronomy, lecture notes in “Proceedings of the 3rd La Plata School on Astronomy and Geophysics, Association of Astronomy of Argentina”, P. Cincotta, C. Giordano and C. Efthymiopoulos (eds), (146 pages). Contopoulos I., 2012, Towards a Realistic Pulsar Magnetosphere, 10th Hellenic Astronomical Conference, Proceedings of the conference held at Ioannina, Greece, 5-8 September 2011, I. Papadakis, A. Anastasiadis (eds)., 28, Hel.A.S. Contopoulos I., 2012, Nonlinear force-free reconstruction of the global solar magnetic field, 10th Hellenic Astronomical Conference, Proceedings of the conference held at Ioannina, Greece, 5-8 September 2011, I. Papadakis, A. Anastasiadis (eds)., 4, Hel.A.S. Basilakos, S., 2012, Testing gravity at cosmological scales, 10th Hellenic Astronomical Conference, Proceedings of the conference held at Ioannina, Greece, 5-8 September 2011, I. Papadakis, A. Anastasiadis (eds)., 15, Hel.A.S. Syntelis P., Gontikakis C., Alissandrakis C., Georgoulis M., Tsinganos K., 2012, On the shape of active region coronal loops observed by Hinode/EIS, 10th Hellenic Astronomical Conference, Proceedings of the conference held at Ioannina, Greece, 5-8 September 2011, I. Papadakis, A. Anastasiadis (eds)., 14, Hel.A.S. Gontikakis C., Winebarger, A.R., 2012, Study of a microflare observed with SUMER and TRACE, 10th Hellenic Astronomical Conference, Proceedings of the conference held at Ioannina, Greece, 5-8 September 2011, I. Papadakis, A. Anastasiadis (eds)., 11, Hel.A.S. Syntelis P., Vourlidas A., Tsinganos K., Gontikakis C., The initiation of a Coronal Mass Ejection as observed by STEREO/EUVI, 10th Hellenic Astronomical Conference, Proceedings of the conference held at Ioannina, Greece, 5-8 September 2011, I. Papadakis, A. Anastasiadis (eds)., 14, Hel.A.S. Katsanikas M., 2012, Simple Instability in a 3D autonomous Hamiltonian system of galactic type in “Proceedings of the Third La Plata International school in Astronomy and Geophysics: Chaos, Diffusion and non-Integrability in Hamiltonian systems- Applications to Astronomy”, Asociaciόn Argentina de Astronomia Workshop Series, 3, 367-372. Contopoulos, G., Harsoula, M.: Chaotic spiral galaxies, 2011, Cel Mech Dyn Astr. Georgoulis, M.K. 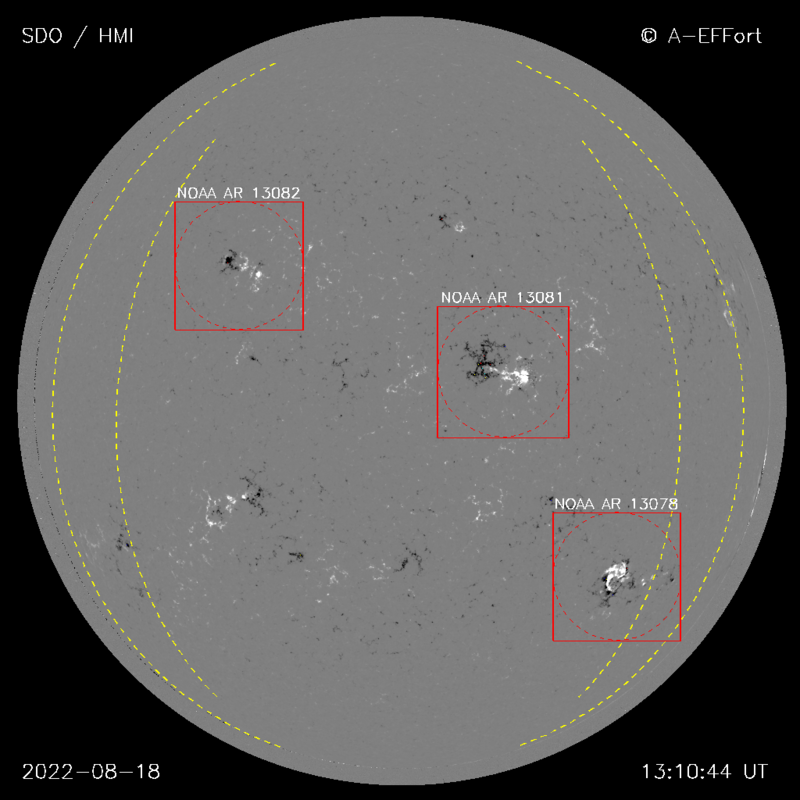 : Pre-Eruption Magnetic Configurations in the Active-Region Solar Photosphere, In Physics of Sun and Star Spots, 2011, Proc. IAU. Symposium 273, 495.
disc dynamics", European Phys. J. Special Topics, 186, pp.91-122. Christodoulidi, H., Efthymiopoulos, C., and Bountis, T: 2010. Das, S., Vagenas, E.C., Farag Ali, A., 2010, "Erratum to “Discreteness of space from GUP II: Relativistic wave equations”", Physics Letters B 692, pp. 342-342. Basilakos, S., Das, S., Vagenas, E.C., 2010, "Quantum Gravity Corrections and Entropy at the Planck time", Journal of Cosmology and Astroparticle Physics, Issue 09, pp. 027. Das, S., Vagenas, E.C., Farag Ali, A., 2010, "Discreteness of space from GUP II: Relativistic wave equations", Physics Letters B, Volume 690, pp. 407-412. Singleton, D., Vagenas, E.C., Zhu, T., Ren, Ji-Rong, 2010, "Insights and possible resolution to the information loss paradox via the tunneling picture", JHEP 08:089. Basilakos, S., Cadoni, M., Cavaglia, M., Christodoulakis, T., Vagenas, E.C., 2010. "PREFACE: First Mediterranean Conference on Classical and Quantum Gravity (MCCQG 2009)", Journal of Physics: Conference Series, 222, pp. 011001. Das, S., Vagenas, E.C., 2010. "Das and Vagenas Reply", Physical Review Letters, 104, id. 119002. Banerjee, R., Majhi, B.R., Vagenas, E.C., 2010. "Quantum tunneling and black hole spectroscopy", Physics Letters B, 686, pp. 279-282. Farag Ali, A., Das, S., Vagenas, E.C., 2010, "The Generalized Uncertainty Principle and Quantum Gravity Phenomenology", to appear in the Proceedings of the Eleventh Marcel Grossmann Meeting on General Relativity (World Scientific). M. Harsoula and C. Kalapotharakos, 2009, “Orbital Structure in barred-spiral galaxies”, Month. Not. Roy. Astron. Soc. 394, 1605. Alissandrakis, C.E., Gontikakis, C., Dara, H.C, «Determination of the true shape of Coronal loops»: 2008, Solar Physics, 252, 73. Basilakos S., Plionis M., Ragone-Figueroa C, «The halo mass-bias redshift evolution in the ΛCDM cosmology»: 2008, Astroph. J., 678, 627. Basilakos, S., Nesseris, S., Perivolaropoulos, L, «Is the CMB shift parameter connected with the growth of cosmological perturbations?»: 2008, Mon. Not. Roy. Astr. Soc., 387, 1126. Christodoulou, D. M., Contopoulos, I. & Kazanas, D., «Simulations of the Poynting-Robertson Cosmic Battery in Resistive Accretion Disks»: 2008, Astoph. J., 674, 388. Colberg, J. M., Pearce, F., Foster, C., Platen, E., Brunino, R., Neyrinck, M., Basilakos, S., Fairall, A., Feldman, H. et al., «The Aspen-Amsterdam void finder comparison project»: 2008, Mon. Not. Roy. Astr. Soc., 387, 933. Contopoulos, G., «Ordered and Chaotic Orbits in Spiral Galaxies»:2008, in G. Contopoulos & P. Patsis (eds), Chaos in Astronomy, Springer, Berlin, 3. Contopoulos, G., Efthymiopoulos, C. and Harsoula, M.., “Order and chaos in quantum mechanics”: 2008, Νonlinear Phenomena in Complex Systems, 11, 107. Contopoulos, G. and Harsoula, M.., “Stickiness in Chaos”: 2008, “Intern. J.Bif. Haos”,18,1 . Efthymiopoulos C., Tsoutsis P., Kalapotharakos C., Contopoulos G., 2008, “Invariant manifolds and spiral arms in barred galaxies”, in G. Contopoulos & P. Patsis (eds), Chaos in Astronomy, Springer, Berlin, 173. Efthymiopoulos C., Voglis N., Kalapotharakos C., “Special Features of Galactic Dynamics”: 2008, in D. Benest, C. Froeschle, E. Lega (eds), Topics in Gravitational Dynamics, Lecture Notes in Physics, 729, 297. Gontikakis, C, Contopoulos, I., Dara, H.C, «Distribution of Coronal Heating in a Solar Active Region»: 2008, Astron. Astophys., 489, 441. Harsoula M., Contopoulos G., Kalapotharakos C., 2008, “Orbital structure in barred galaxies and the role of Chaos”, in G. Contopoulos & P. Patsis (eds), Chaos in Astronomy, Springer, Berlin, 53. Kalapotharakos C., “The rate of secular evolution in elliptical galaxies with central masses“:2008, Mon. Not. Roy. Astr. Soc., 389, 1709. Kalapotharakos C., 2008, “Orbital distributions and self-consistency in elliptical galaxies“, in G. Contopoulos & P. Patsis (eds), Chaos in Astronomy, Springer, Berlin, 215. Kalapotharakos C., Efthymiopoulos C. & Voglis N., “Appropriate SCF basis sets for orbital studies of galaxies and a `quantum-mechanical' method to compute them”: 2008, Mon. Not. Roy. Astr. Soc., 383, 971. Katsanikas, M., Patsis, P., "The Structure of Phase Space in Galactic Potentials of three degrees of freedom": 2008,, in G. Contopoulos & P. Patsis (eds), Chaos in Astronomy, Springer, Berlin, 235. Kaufmann, D., Patsis, P. "Regular and Chaotic Orbits in Narrow 2D bar models": 2008, in G. Contopoulos & P. Patsis (eds), Chaos in Astronomy, Springer, Berlin, 241. Lhotka, Ch. ; Efthymiopoulos, C.; Dvorak, R., «Nekhoroshev stability at L4 or L5 in the elliptic-restricted three-body problem - application to Trojan asteroids»:2008, Mon. Not. Roy. Astr. Soc. 384, 1165. Lukes-Gerakopoulos, G., Basilakos, S., Contopoulos, G., «Dynamics and chaos in the unified scalar field cosmology»: 2008, Phys. Rev. D, 77, 043521. Lukes-Gerakopoulos, G.; Voglis, N.; Efthymiopoulos, C., «The production of Tsallis entropy in the limit of weak chaos and a new indicator of chaoticity»: 2008, Physica A 387, 1907. Patsis, P. «Does Chaotic motion support the spiral structure in disk galaxies?»: 2008, Nonlin. Phen. Complex Systems 11, 265. Patsis, P., «The Flow through the arms of normal and barred spiral galaxies»:2008, in G. Contopoulos & P. Patsis (eds), Chaos in Astronomy, Springer, Berlin, 33. Plionis M., Rovilos M, Basilakos S, Georgantopoulos I., Bauer F.«Luminosity dependent X-ray AGN clustering»,: 2008, Astroph. J., 674, L5. Setare, M. & Vagenas, E., «Thermodynamical Interpretation of the Interacting Holographic Dark Energy Model in a non-flat Universe»: 2008, Phys.Lett.B666:111. Tsoutsis, P., Efthymiopoulos, C., Voglis, N.. «The coalescence of invariant manifolds and the spiral structure of barred galaxies»: 2008, Mon. Not. Roy. Astr. Soc., 387, 1264. Basilakos, S., «A mathematical description of the nature of the dark energy»:2008, in the meeting on «Recent developments in gravity»’, Thessaloniki (Invited talk). Basilakos, S., « Cosmology from XMM high-z AGN clustering»: 2008, summer school on “The many faces of AGN», Athes. (Invited talk). Contopoulos, G., «Ανθρωπική Αρχή και Αξίες»: 2008, Ανάπλασις, 434, 35. Contopoulos, G., «Introduction»:2008, in G. Contopoulos & P. Patsis (eds), Chaos in Astronomy, Springer, Berlin. Contopoulos, I., "Η Φυσική στην καθημερινή ζωή: προβληματισμοί από τον χώρο της Βιομηχανίας", 12o Πανελλήνιο Συνέδριο της Ένωσης Ελλήνων Φυσικών", Kavala, 21 March 2008 (Invited talk). Contopoulos, I., «Possible observational confirmation for a cosmic battery»: 2008, AGN Workshop, Crete (Invited talk). Contopoulos, I., «Three-dimensional numerical simulations of the pulsar magnetosphere: preliminary results», Colloquium, NASA/Goddard Space Flight Center, Greenbelt, Maryland, ΗΠΑ, 20 May, 2008 (Invited talk). Gontikakis, C., Contopoulos, I. 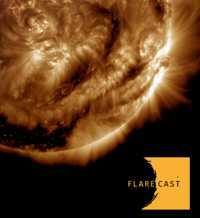 & Dara, H. C.: 2008, «Distribution of coronal heating in a solar active region», 12th European Solar Physics Meeting, Freiburg, Germany. Patsis, P.: 2008, «Ordered and Chaotic Spiral Arms»: Συνέδριο «Galactic & Stellar Dynamics», Strasbourg. Patsis, P.: «Ordered and Chaotic spirals in disk galaxies»: Conference on «Tumbling, Twisting, and Winding Galaxies: Pattern Speeds along the Hubble Sequence», Padova, Italy, August 25-28. (Invited Review Talk).